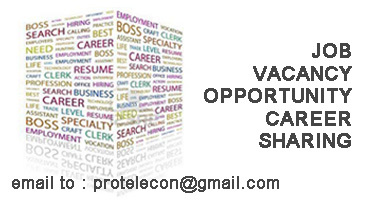 [Career Job Vacancy Opportunity] NOC SUPPORT ENGINEERS - SUPER SISTEM ULTIMA, PT/Super Sea Cable Networks Pte. Ltd.
SUPER SISTEM ULTIMA, PT/Super Sea Cable Networks Pte. Ltd.
To bring an unprecedented amount of capacity to the emerging markets to enable operators and businesses to focus on their core services and operations. To be a catalyst of change in enabling telecom operators to synergize and address market demands for more capacity at higher speeds. An independent submarine cable infrastructure developer-owner-provider. SEAX sells on dark fiber pairs and wavelength basis for wholesale carriers in the emerging markets who are going regional and global. Provides solutions for carriers (T1, T2 & T3) who want to own cable systems but do not wish to operate them. SEAX-1 is fully funded & fully licensed in its targeted markets. Prepare weekly report as per alarm category "minor, major and critical"
Must be fluent in written and speaking English.